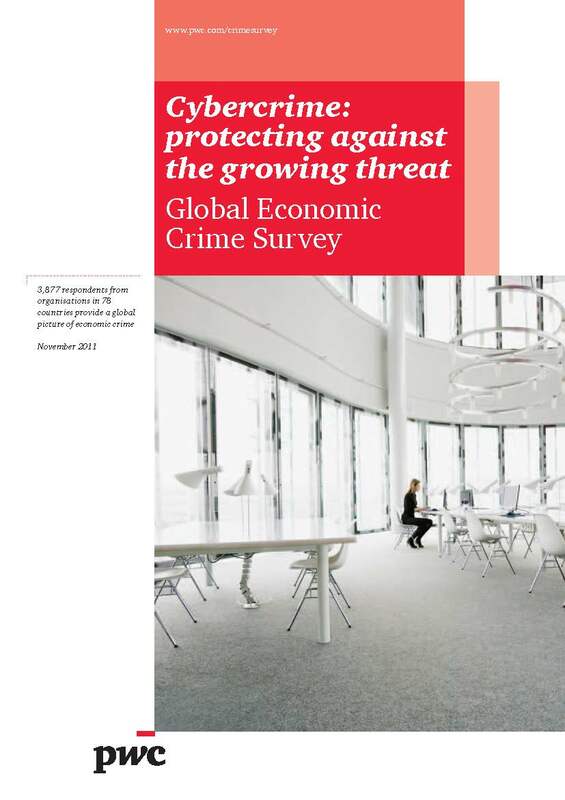 PWC have released their annual Cybercrime report, “Cybercrime: protecting against the growing threat – Global Economic Crime Survey“, and as usual it makes very scary reading. The report shows that crime is up and those organisations have been slow to react to the threats. Threats that were highlighted in previous reports. Organisations of all sizes need to improve their abilities to protect their sensitive data and the report focuses on several area that need addressing, for example awareness of the threats in senior management and training for employees in how to spot crime and how to take the appropriate steps to react to the incident (Incident Response Planning…). There needs to be adequate protection in the form of technology, procedures and policies for the proposed awareness and training to be effective and efficient. The report is based upon 3,877 respondents from organisations in 78 countries. The scale of the survey has provided a global picture of economic crime. The key findings of the report are shown in full, with the remainder of the post focusing on the statistics shown in the report. Our sixth report paints a dramatic picture of UK organisations still struggling in the face of severe austerity cuts. Economic crime has risen by 8 percentage points since our 2009 survey, with over half of respondents reporting at least one instance of economic crime in the last 12 months. Even more concerning for Senior executives was the fact that 24% of respondents reported more than ten incidents in the last 12 months. Our findings suggest that the combination of rising economic crime in the UK, and widespread austerity cuts that limit the resources available to focus on economic crime, has made today’s business environment altogether more difficult and risky. Cybercrime has become the third most common type of economic crime, whilst levels of ‘conventional’ economic crime have fallen (asset misappropriation has fallen by 8 percentage points since 2009, and accounting fraud by 5 percentage points in the same period). So we think organisations need to take a fresh look at how they deal with fraud. Cybercrime now regularly attracts the attention of politicians and the media, and should be a concern to business leaders as well. Our survey gave respondents their first direct opportunity to highlight cybercrime as one of the main economic crimes they had experienced, and over a quarter of those who had reported economic crime in the last 12 months did so. The largest number of these were from the financial services sector. Our survey shows that organisations need to be clear about exactly what cybercrime is, and who is responsible for managing it. Economic crime perpetrated externally has increased and fraud carried out by employees within the organisation is declining. 16% of UK respondents said their organisation has in place all five of the measures specified in the survey, compared with 12% of global respondents – see the link to the full report below.